Only able to extract a limited amount of work from African and indigenous Maya slaves, the British then turned to oxen to extract the valuable Mahogany from Belize’s forests. Home » Blog » Uncategorized » Only able to extract a limited amount of work from African and indigenous Maya slaves, the British then turned to oxen to extract the valuable Mahogany from Belize’s forests. 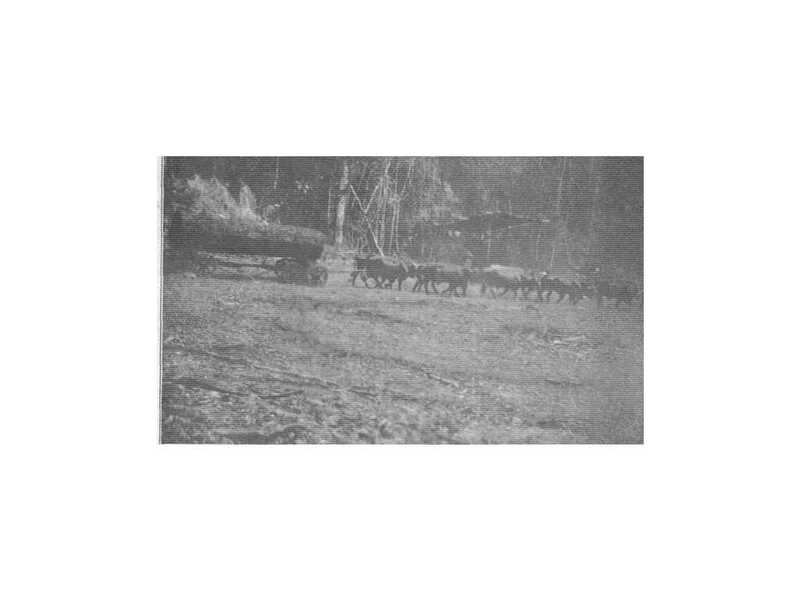 The second level of timber extraction technology involved use of oxen to haul mahogany to the nearest waterway. The technology which was developed were oxen powered mahogany “trucks” or sleds (Metzgen and Cain, 1925). 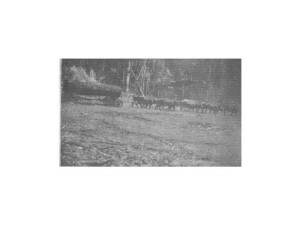 The wheels of the trucks were made from Cabbage Bark trees or from metal (Figure 9). In addition to wheeled trucks, a sled type implement was used in the rainy season. The oxen pulled these sleds over three inch diameter round posts laid down about twelve inches apart in the mud. Mahogany logs were loaded unto these carts and carried to the nearest river’s edge. Compared to human haulage, this system extended the area which could be worked for mahogany to eight miles from the nearest stream. Trucks and sleds were the only method of mahogany extraction between 1805 and 1909 when the first machine-powered method of mahogany extraction was introduced.